This is a great time of year for a craft brewery insurance review–and making any updates necessary to protect your equipment, your workers, and your business as a whole. Protection for ingredients and finished product against spoilage or contamination. Commercial property coverage to protect brewing equipment. 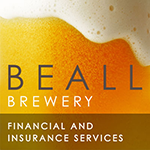 Commercial general liability coverage to protect the brewery itself from liability claims. Liquor liability coverage to protect the brewery from liability if someone gets injured in an incident after drinking the brewery’s beer. Workers’ compensation for employees working in brewing, bottling, packaging, and transporting craft beer. 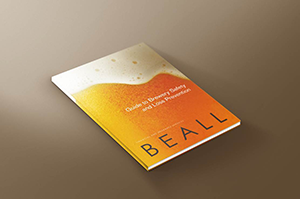 Does your brewery have protection in each of these areas? Do you feel confident that you have sufficient protection in each of these areas? Do you know how much the average claim costs for each of these areas? For instance, the average liquor liability or spoilage/ contamination claim? If you do not have at least that much protection, you may want to modify your policy. Ask yourself the following questions to ask to ensure that your craft brewery will be secure in the face of disaster. Do you have coverage for sewer or drain backup? If one of your key suppliers couldn’t make deliveries for an extended period of time, do you have coverage for any resulting loss of business income or extra expense? If you store raw materials or equipment in outbuildings, do those structures have coverage for damage? Does the brewery have coverage for electronic vandalism and interruption of computer operations? Does your policy include coverage of foundation and pipe repairs? If you transport raw materials to the brewery, or finished product to bars or restaurants, do you have in-transit coverage to protect that exposure? If your raw materials or finished product are contaminated or spoiled, does your policy cover that? Does your policy cover repair or replacement of failed equipment, or risk prevention services to prevent breakdown? Does your policy provide for expenses incurred for recall of your finished product? If you’re not sure of the answers to these questions—or the answer is no—make an appointment with your brewery insurance agent. Then you can thoroughly review your policy together. After all, you take steps to prevent accidents and incidents from happening. Now you need to take steps to make sure you have sufficient protection in the event that one does.